Manufacturer of a wide range of products which include water packing plant, frp packaged drinking water plant, water purification plant, institutional water plant, water purification systems and industrial water purifier system. Water Packing Plant offered is backed by latest process technology and perfectly match up with the requirements of packaging water in pouches as well as in PET bottles. Coming with accurate dosing support, these machines are also easy and convenient to operate with the advanced PLC control as well as dependable electric control system providing for consistent performance. 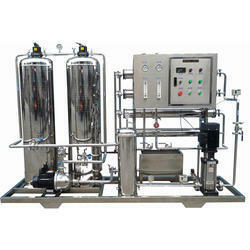 Some of its features include user friendly operating console, allows for automatic checking of errors, no fill no seal support helps in avoiding wasting of packing materials, safety device support for stopping machine at abnormal air pressures, allows adjustment of bag width, liquid level control device, servo motor support to achieve high accuracy dosing and filling support. We are offering Packaged Drinking Water Plant FRP to our clients.We are assisted by our truly skilled and seasoned professionals in manufacturing and trading a precision-engineered range of Packaged Drinking Water Plant FRP. This plant is fabricated using the latest equipment and cutting-edge technology in order to meet the international quality standards. 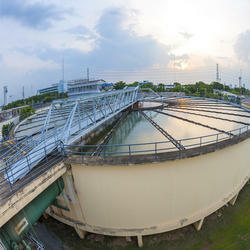 Our offered plant is widely used for the packaging of drinking water bottles. We are offering Water Purification Plant to our clients.Bestowed with an ingenious team of designers and advanced production unit, we have able to manufacture, supply, and export an exclusive range of Water Purification Plant to our clients. Designed to offer clean and apparent water, this plant is widely demanded due to its optimum filtration performance. In order to install the provided plant, we make use of quality-approved components and pioneering methodology. This plant is designed with well-organized membrane filter system that eradicates dirt, oil, chemical, microorganism and other solid particles from water. 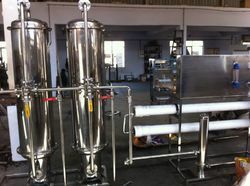 Allpack Engineers is a pioneer in the field of manufacturing and supplying of Institutional Water Plant which offers precise functionality and has accuracy in dimensions.Our company is a pioneer in the field of manufacturing and supplying of Institutional Water Plantwhich offers precise functionality and has accuracy in dimensions. 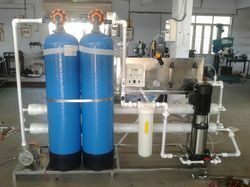 We are leading manufacturer and exporter of Water Purification Systems.Water treatment systems are designed to solve different problems, so consumers need to determine their specific treatment needs before shopping for a water treatment system. Some common issues consumers have that require water treatment include: water hardness, chemical and/or virus removal, UV treatment, well water quality and other water contaminants or pollutants. 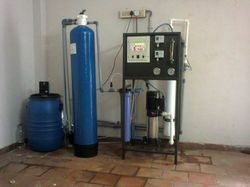 We are leading manufacturer and exporter of Industrial Water Purifier System.We are among the well acknowledged and renowned companies dealing in the manufacturing and supplying of Industrial Water Purifier. 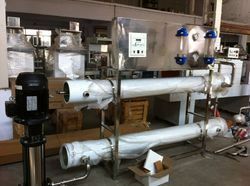 We are offering Water Purifying Plants to our clients. 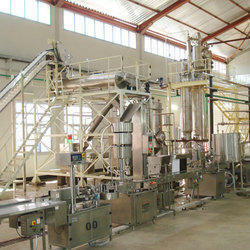 We are offering Juice Process Plant to our clients.